So you guys must be wondering how I am doing at home for last two days. Well I will start by saying that it is so awesome to be home and sleep in a comfortable bed with my daddy. I have been feeling little better actually with some pains here and there after the chemo medications but I have not been taking any pain medication as my mom says that I should learn to tolerate some discomfort. Mornings are tough as I start off with sore throat which gets better as the day goes. I start by taking the bitter pink suspension and then 3 pills which are really really bad in taste. I have to take them twice daily and I have not given my parents a hard time yet. I have been busy with completing the lego set to fulfil my challenge. I am proud to say that I actually completed the 1000 piece Lego Car in 2 days with lot of hard work, frustration and screaming few times. It was really tiring but kept me busy and helped me distract from my pains. My parents are treating me very normal with making me do the simple chores around the house and letting me follow the routine which I like. I am so happy that I am getting to play with my brother all day long. I can’t wait to go for the school orientation on Wednesday ! 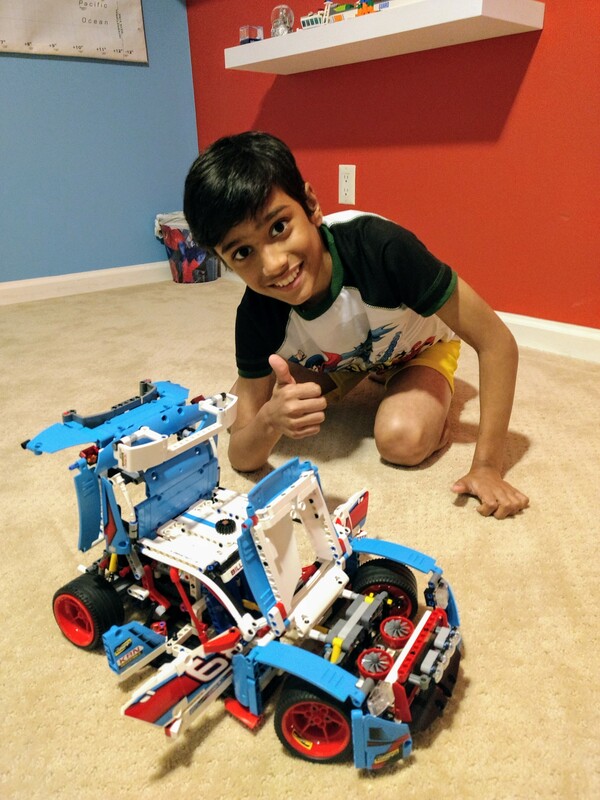 Its good to see that you are doing well..as i mentioned you are a champion..i know you will be fine very soon ,bdw great job on ur lego challenge. 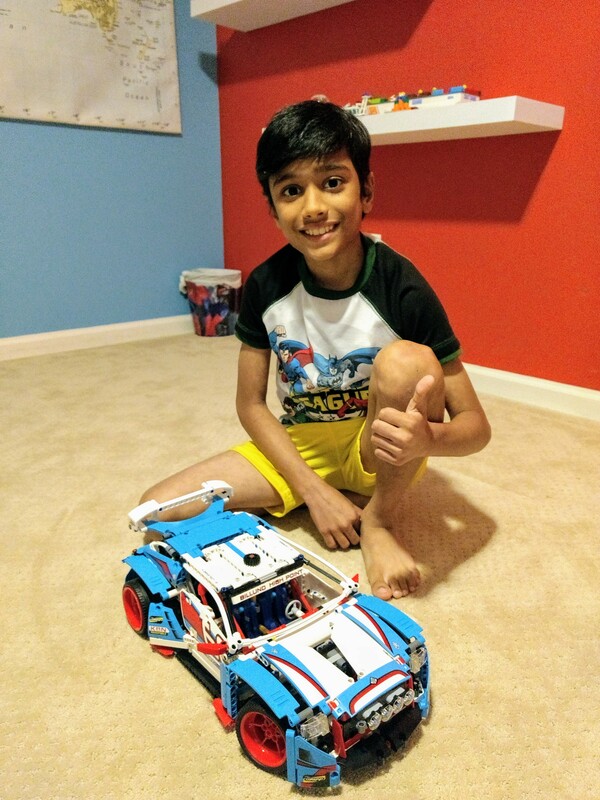 Its awesome to see your Lego creation! its amazing to see you been so strong and focus to finish this challenge my dear. You hang in there and all this will be over soon, we are praying for your speedy recovery everyday and want you to know that we love you a lot.